One way to get guest up and out of their seats is to have a bar. Be it cash bar, open bar, top or bottom shelf, people always will wander over for a look. 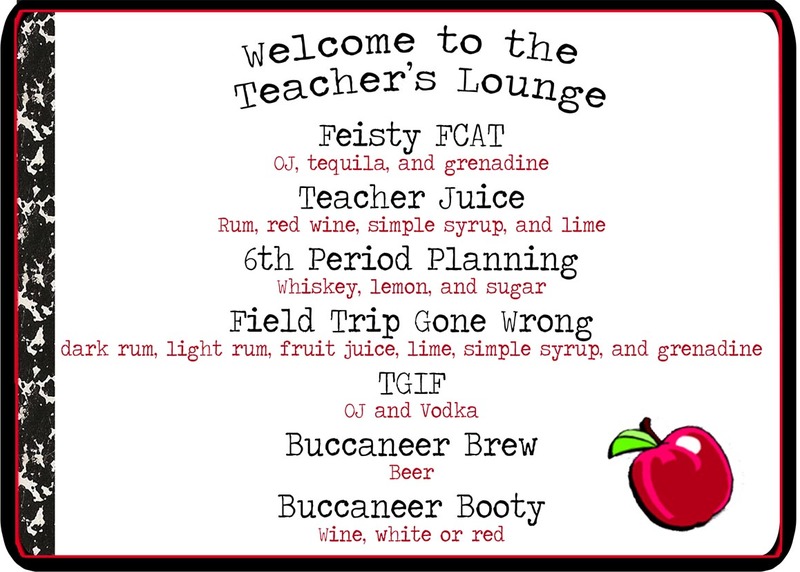 At my teacher retirement party, I took the theme and called the bar the “Teacher’s Lounge” and made the drinks coincide with my party. The guest of honor’s school mascot are the buccaneers and we named it the most popular drinks.